I’ve been quite silent for the past few weeks because I’ve been mostly working on the PieCrust 2 documentation website – a lot of time spent writing stuff, trying out different layouts, figuring out how to organize the information, and coding the infrastructure tools that will generate separate documentations for each release. Now at least I’ve got half of something to show, in case some of you want to provide feeback or – gasp – help! 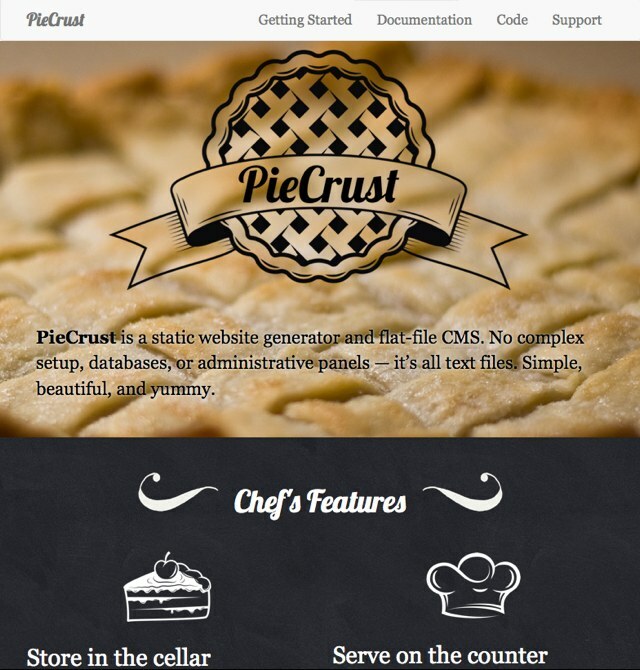 Head over to the PieCrust 2 documentation preview to see it in all its work-in-progress glory! At this point, it’s only about a third done, so there’s probably another few weeks of work. But it’s interesting how writing documentation forces you to polish a product. This is not new – it’s really a variation of README-driven development – but that’s why it’s taking a long time: a good chunk of the documentation writing time is looking at what I just wrote, thinking that it’s completely stupid, writing what it should be like, and then fixing the code so it does exactly that.